Longing. What is it? How would you describe this word? Not the dictionary definition, but your own heart definition? A couple of weeks ago I asked folks how they would define “longing” on the Communicating Across Boundaries Facebook page. Your responses did not disappoint. The thing that made them so significant to me is that I know some of the stories behind these responses. I know the ones with chronic illness who fight against pain and don’t complain, longing for a day when that pain may go. I know the ones who have lost a son or daughter and carry that cruel act against the natural order of life in their hearts. I know the ones who have said too many goodbyes, the ones who have experienced significant loss of place and people. So as you read these, know that they come from hearts and lives of those who have suffered but continue to live. And to you who read this, may you feel hope in our shared experiences of longing. What do they mean by Saudade? I’ve written a lot about this word, as have others who have lived mobile lives. It’s a Portuguese word that originated in the 13th century by Portuguese diaspora who longed for the places and people they had left behind. The famous saudade of the Portuguese is a vague and constant desire for something that does not and probably cannot exist, for something other than the present, a turning towards the past or towards the future; not an active discontent or poignant sadness but an indolent dreaming wistfulness. I’m so grateful to those of you who shared these soul-deep responses. What about those who are reading? How would you define longing? Please share through the comments, and thank you – as always – for the gift that you give in reading and being a part of this online space. I will never take it for granted. Eight years ago, my friend Mary gave me a giant mug as a hostess gift. She had come from Egypt to Boston for a conference and our apartment in Cambridge provided a perfect place and easy access to the conference. The mug was not just any mug – it was from the Starbucks country collection or “You are Here” mugs, so along with being 16 ounces, it also had a picture of the pyramids and the word ‘Egypt’ in large letters across it. It quickly became my favorite mug. Curling up every morning with a homemade latte, a journal and pen in hand, is how I have started most mornings since the week she visited. It has been my routine wherever I’ve been in the world. It is a routine that easily transferred to my life in Kurdistan. While I can’t get the same coffee and my foam maker burnt out within a month, I’ve found substitutes and it has been a wonderful comfort as I adapt to life in Rania. As I poured the hot coffee into the mug, it began leaking out the bottom. Startled, I ran for a saucer. There above the coffee mark was the unmistakable sign of a crack, and clearly a deep one. I transferred the coffee to another cup and took a look. The crack was beyond repair. My beloved mug was finished. I would no longer be able to use it for my morning coffee. I sighed and then I cried. The tears fell freely, as if they’d been trapped too long and they needed an excuse. In all of our lives there are items we own that represent people, places, or events that are much bigger than what you see on the surface. This mug not only reminded me of one of my favorite places – it represented my life before Massachusetts. It reminded me of a world that was hidden, visible only through photo albums and occasional retelling of old stories, told a thousand times before. It reminded me that my life in Egypt was a significant period of time – a time of birthing babies and young motherhood, a time of learning what it was to live overseas as an adult, a time of joy with a growing family. It reminded me of my friendship with Mary, the one who gave me the mug. Mary was present at the births of my two youngest children. We were nurses together in Egypt and our kids spent hours playing together while we solved a good number of the world’s problems. To see that mug crack made me feel all of life’s cracks and broken pieces. I felt all over again the hurt of goodbyes and the long process of new hellos. I felt the intensity of starting anew and the difficulty of keeping up friendships faraway. I felt the sting of misunderstanding and cultural adjustment. 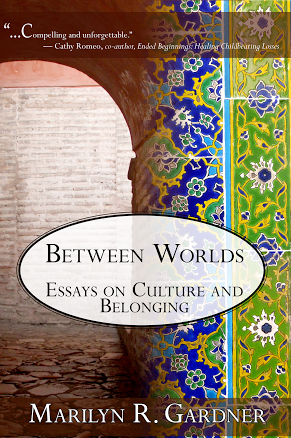 I felt the sadness of living between worlds, the diaspora blues of being – “too foreign for home, too foreign for here, never enough for both”*. I felt the emptiness of lost friendships and the scars of ruined relationships. All of this came over me as I surveyed the spilt coffee and the cracked mug. I felt so, so sad. It’s now several hours later, and I still feel myself on the brink of tears. What I wish I could do with this old, beautiful Egypt mug is to mend it with gold, the Japanese art of “kintsugi”. Instead of throwing away the object that has cracked and broken, this restores the piece, making it even more interesting and beautiful. The focus becomes the cracks and the scars. My mug deserves that sort of care, deserves to be an object of interest and pride, like a mended tea pot that I have owned for years and carried around the world. The teapot was broken into many pieces, but painstakingly mended with large metal clips and a metal bottom put on it to make it stronger. Though broken and having little of its original beauty it is so much more interesting and represents so well the human condition. Despite the original break, despite the cracks – it continues to be useable and stronger than if it had never been broken. I won’t be able to do that, but I will keep the mug. Instead of using it every morning, sipping my morning coffee as I begin the day, I will put it on my desk. I will use it for pencils and pens – a re-purposed memory bank. It deserves at least that. And, like the teapot, it will serve as a continual reminder that the circumstances in life can crack and mar us, but they don’t get to destroy. They don’t, and never will, have that kind of power. When the Japanese mend broken objects they aggrandize the damage by filling the cracks with gold, because they believe that when something’s suffered damage and has a history it becomes more beautiful. We are in Athens, mere steps away from the Acropolis that sits high above the city inviting people of every tribe and nation to come and walk its ancient paths. It is the height of privilege to be here and I am deeply mindful of this. And though Athens has its magic that I could write many words about, it’s not what I’m choosing to write about today. Instead, I want to write about an extravagant friend. Her name is Betsy and on Christmas Eve, she died. She died at home, surrounded by her family – her big beautiful family – a husband of over 40 years, children, and grandchildren. After God and coffee, Betsy loved family, but she also invited many into that family. I was one of those people. I met Betsy when I was 29 years old. My husband and I had arrived in Cairo with our three small children a few weeks before. I was desperate for friendship. We limped our way through the first few weeks and then on the same day both of us had encouraging breakthroughs in unexpected offers of friendship – his through a man named Fred Perry, mine through Betsy. When we look back on this time, it was these two friendships that were the starting point in helping us unpack our bags and hang our hearts in Cairo. I was emotionally and spiritually lonely. As I sat with my three kids in my fifth floor walk-up apartment one morning, loneliness flooded over me and tears quickly followed. I reached for the community newspaper, lovingly called the Maadi Messenger. In between the “I am Fatima. I wash kids and clothes” and “Learn Arabic quickly!” ads was a section on community activities. There, under community Bible studies, was the name Betsy McDermott and a friendly “Call if you’re interested in joining a Bible study.” I resolutely picked up the phone, checked to make sure the neighbors were not on it as it was a party line, and dialed the number. The next minute Betsy’s unforgettable “Mcdermott Home! Betsy speaking” came from the receiver. It was a voice from Heaven. I paused and then launched in to a halting introduction. We talked for 45 minutes and by the end of that call I had a Bible study, a best friend, and a wise mentor. Just minutes before we hung up that day, Betsy said “You sound so familiar! Are you sure we haven’t met before?” We figured out that we had mutual friends in two missionary families who had lived in Karachi and knew both of us. We had indeed met! We met when I was in junior high and she was in high school. She was in a singing group in high school with our mutual friend “Auntie Grace” Pittman. It sealed the friendship in ways I could never have expected. She understood the third culture kid piece that I didn’t even know was a word. With that commonality, I was invited into Betsy’s world of friendship, and what an amazing world it was! It was a world where coffee and hospitality were like oxygen. They were followed by laughter, listening, deep theological discussions, and always long talks about family. It was through this world that I met Martha, Karen, Marian, Christine, and a long list of others who had been invited in and were feasting at the table of friendship. Betsy’s home became my sanctuary. At Betsy’s house, everything was better. Expatriate friendships come with an asterisk, and that asterisk is a reminder that all friendships end with goodbye. If you can survive the goodbye, there’s a chance that the friendship will survive the ocean chasms that separate continents. The first was a partial goodbye. Though not separated by an ocean, we were separated by a bustling city of 15 million as we moved to a different part of Cairo. I grieved not being able to drop in on a whim. It was my two-year-old who took on the grief. I remember one day saying goodbye to Betsy as I hopped into a taxi to head from Betsy’s house to mine. Stefanie looked out the window at Betsy and burst into tears. She took in all her mama’s emotions and instead of having a lump stuck in her throat as I did, she grieved in big, gulping two-year-old sobs. I can still see Betsy’s startled face through the grimy taxi window as she waved goodbye. Two years later, Betsy moved from Cairo to London and the chasm of people became an chasm of water. Although our across the city move two years earlier was difficult, this was now a different country, different time zone, and different life. I didn’t know if I would make it. But the friendship survived, and Betsy’s home in London became my yearly friendship and therapy session. Along with that, we kept in touch through letters, visits during the summer when we were both in the United States, and phone calls. When I unexpectedly found out I was pregnant just before Christmas in 1995, I had told no one. I got off the plane in London after Christmas and burst into tears with Betsy. She hugged me tight. “You’re so lucky!” she said – and in that moment, I began to believe it. We left Cairo in 1996, but the yearly trips to London continued as I faced the most difficult adjustment I had ever made within a small town in Massachusetts. Soon after, her oldest child began university in Boston and I got to briefly see her on her periodic trips to visit him. In 1999, Betsy moved to Rochester, New York – just 15 minutes away from where my brother lived. Her home there continued to be a place of peace and grace for my life. I was struggling with many, many things – but at Betsy’s house I had a temporary respite. I could relax in her hospitable embrace. It was in 2003 when we began to see less of each other. Our family moved to Phoenix, her kids began moving away, and trips that included each other were less frequent. Periodically we would reconnect, and it was always as though I was the only person in the world who existed. Our friendship continued with the competition of adult kids, aging parents, and grandchildren. We were now lucky to grab coffee once a year. At this point, I knew she had breast cancer but she was doing well. Each time I saw her she seemed to become more beautiful and more resilient. Betsy was a third culture kid. She had been through coups, wars, and earthquakes. She had her appendix taken out by an undercover CIA operative, had evacuated countries, and raised her own kids around the globe. She was as comfortable at a fancy dinner party as she was in a slum in Cairo. The stamps in her passport had more stories than a book could contain. With this as her background, it’s no wonder that her heart was the size of the globe and filled with people that represented that globe. I got to be one of them and even though her heart was heavily populated, when you were with her you thought you were the only one. More than that, Betsy had a deep relationship with God that affected everyone around her. “Scarcity” was not in her vocabulary. She gave in abundance, serving countless people. Her ears and her heart heard the wounds and tears of many. She radiated the joy of being alive. Betsy was extraordinary. I wish I could get together one more time to tell her how much I love her, how she met me in my tears and my weakness and gave me strength to move forward. I wish I could thank her for the coffee and friendship, both served so well. I wish I could hug her and hear her laughter and voice one more time. I wish I could thank her for her extraordinary generosity. I can’t do any of those things. But I can learn from her. I can learn more about what it is to open my heart and my home to people, not afraid that the love or coffee will run out, not worrying that there is not enough to go around. I learned so many things from this friendship. I learned that faith is a journey and that to question doesn’t take away a rock solid foundation. I learned that loving people is costly – it cost Betsy to love, but she did it and made it look effortless. I learned that hospitality opens up our world and our hearts grow larger. I didn’t know that Betsy was so near the end. To Betsy, suffering was matter of fact. At my dad’s funeral over a year ago, I asked her about her breast cancer returning. She looked at me “Everyone has something” she said. She didn’t have a mental scale that she kept, weighing her suffering compared to others. She welcomed it with grace, and in doing so had room to comfort others. It was after Thanksgiving that I learned she had stopped treatment and was in palliative care. It hit me hard. I had just welcomed a new grandson into the world and found out that my father-in-law had died. The contrast between life and death felt tender and raw; the veil that separates these two so thin. For Betsy, that veil was lifted on Christmas Eve when a host of angels welcomed her into the arms of a God who is above all extravagant – extravagant with grace, hospitality, and love; a God who never acts from scarcity but from an abundant well of goodness. And so I grieve. I grieve not having a last coffee with her. I grieve not having a last hug. I grieve not having a last heart talk. I grieve that I will never again hear her voice or listen to her laugh. I want to hug my friends and family a little tighter and open my door a little wider, I want to love out of abundance, not out of scarcity. And so Betsy, I thank you. You lived and loved extravagantly and without hesitation. May I learn to do the same. I’m at A Life Overseas talking about needing to be capable of complexity when we talk about the TCK experience! I loved growing up overseas. I loved that I knew how to traverse the globe at a young age, that I grew up on curry and hot pakoras, that I could see some of the highest mountains in the world from the grounds of my boarding school. I loved the colorful stamps in my passport – the story of my life in a legal document; the feel of excitement when a plane took off; the visceral sense of home when I was surrounded by palm trees and minarets echoing a mournful call to prayer. I loved it. Ah! That word “and”! That freeing, amazing change agent! And it was also hard. I struggled with belonging, with connecting to place. I experienced long nights where tears of homesickness and grief were shed, with only God and a bunk bed as witnesses. I sat uncountable times in rooms full of people enveloped in a bubble of longing, with the words from Ijeoma echoing through my brain: “too foreign for here, too foreign for there – never enough for both”. Okay – that’s harsh. But I was a teenager, and to be told what my life must be was simply unbearable. For years, all I could do was claim the positive. I was like the Joel Osteen Missionary Kid, except that my teeth weren’t as bright and shiny as his. My childhood was perfect, thank you very much, and don’t even start with the negative. The problem is that of course, it wasn’t. There was the good and there was the hard. Trying to be fair to both those things felt like an impossibility, so I stuck with the good. Here’s the thing: When we talk about the MK/TCK experience we have got to be capable of complexity. I’ll say that again: we have to be capable of complexity. 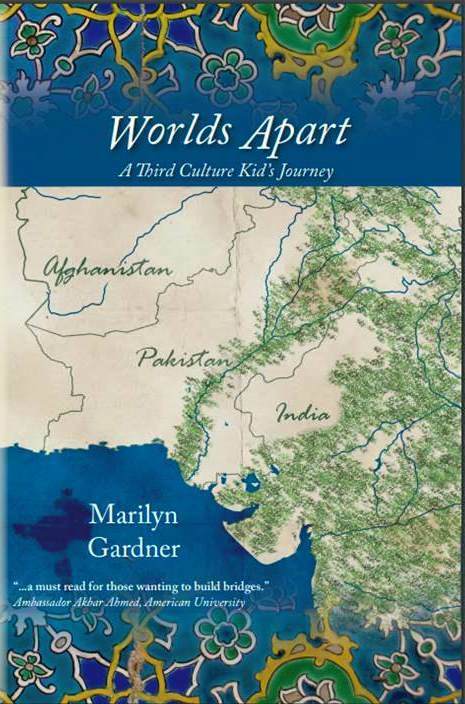 As Tanya Crossman points out so well in her book Misunderstood, the third culture kid narrative is a perspective and not a one-size-fits-all single story. Each TCK story contains things that are deeply painful and other things that are incredibly unique and joy-filled. Though my circumstances were not those of an adoptee, this paragraph made a deep impact on me when I read it. How many of us as third culture kids, as missionary kids, had our own family lore that we believed? How many of us believed that we must trust our parents’ sacrifice, and wrongly believed that we must not let them, or anyone else, know when things were hard? In my own journey I have found that the things that I found difficult were also difficult for my parents. I have come to know more fully some of the stories that I only knew partially. I have come to realize that saying something is hard does not mean that it was not good. Read the rest at A Life Overseas by clicking here. This text came from my younger daughter recently. I realize I haven’t written much about my new normal. Perhaps it’s because my new normal sometimes seems so far beyond what I ever imagined that I can’t find words. Other times it feels so similar to my past lives in Pakistan and Egypt that I feel I have stepped back in time. My work at the college of nursing is difficult to describe. Every day is different and every day I learn something new. The route to my office is changing as the weather changes. These past few days as I walk to work I don’t revel in the crunchy, golden leaves of fall in Boston. Instead I see mums, a cactus, and a palm by our plant store along with an open fire boiling tea for students and faculty as they pass by. Yesterday I went with the 4th level nursing students to the village. I have spent a good deal of time with the community health teachers, as that is my specialty, and this is the second trip I have taken with the group. The first was to one of the primary care centers in the city of Rania. Like the United States, Kurdistan has worked hard to strengthen its primary care infrastructure. The result is that every district has several primary care centers. This takes the strain of preventive and regular care off of a hospital system, and puts non-emergent care into clinics. Vaccines, sick visits, well-child visits, physiotherapy, tuberculosis care, and more are all done in out patient settings. The students visited the center and had an introduction to everything the center does. They then split into groups to observe a specific area of the center. Yesterday, continuing in the vein of community health, we went to one of the villages outside of Rania to do home visits. We traveled by bus along a winding road that, if taken far enough, would eventually lead to Iran. The weather was cloudy and the mountains surrounding us have ground coverings of green from the recent rains. On the way we passed orchards of pomegranates and figs, the pomegranates bright red as it is late in the season. You could see people going about their daily lives in every village we passed. Two women in Kurdish house dresses chatting at the side of a road, men sitting and eating sunflower seeds and drinking steaming cups of tea, children on their way to school – all normal activities for this time of the morning. About 25 minutes from the university, our bus driver found a gravel area to park off the side of the road, and faculty and students got off the bus. I stood there for a moment looking at my surroundings and found the whole situation surreal. It was quiet and you could hear birds chirping, whether in Kurdish or English – who could know? Here I stood in a village in Northern Iraq with thirty some nursing students and three other teachers. I was surrounded by mountains, winding roads, Kurds, and Kurdish. I shut my eyes for a moment, trying to comprehend my life. I couldn’t. If someone had told me a year ago that I would be in this position, I don’t think I would have believed them! I think I would have said “In my dreams, maybe, but not in reality.” Yet here I am. The students divided into groups of four and headed off to complete questionnaires through home visits in the village. I followed along with one group and another teacher. We stood on a balcony overlooking the street while the students sat and asked questions of a mother and her daughter. Culturally, this is not easy for the students. To go to a stranger and invite yourself into their space, to ask questions about their family, to find out things about their health and their living situation – none of this is easy. But it is part of learning about a community, part of learning about the health of the community. In what I have learned is typical of Kurdish people, we were all invited inside – Come for tea, come for a meal, come stay! But the students came with a specific purpose, so we refused all but the tea. The tea was most welcome, served hot, strong, and sweet in small, decorative glasses with saucers that matched. Soon after we hugged goodbye, but not without promising to return. We headed back to the bus but first had our prerequisite group picture, standing on an incline near the village school. That’s just as small snapshot of my life. As I said, It feels at some points unbelievable, and at other points unbelievably normal. That’s what strikes me each day. I get up every day and I sit in my living room to reflect and wonder and pray. I sit and watch the sun’s light grow brighter on the mountains that I can see from our living room window. I drink my coffee and think about life, what it means to live, to redefine success from my narrow view; what it means to live here in Kurdistan. I think about how my life has changed and what it is like to continue living in a paradox, my worlds so far apart. I think about living between worlds, how hard and yet how rich it is. I think about how I am an outsider here, and yet sometimes it’s easier to live as an outsider here than it is for me to live as a supposed insider in the United States. I think about the dilemmas that we between worlds people feel and face, how the complexity of these feelings never really ends, but we learn to be content within them. We learn to be satisfied with life in the in between. I think about all those things, but most of all, I think about what it means to love God and love people a little more each day. So that’s my slice of life today. Who knows what tomorrow may hold? We head to the airport in Doha Qatar early in the morning. Already the air is heavy with heat. Humidity is high and my husband’s glasses fog up as soon as he steps outside. The majority of Qatar is not Qataris but those in Qatar for work or travel. It feels like a fascinating and sometimes depressing convergence of worlds. We talk to guest workers and find out some of the stories behind their work. Most go home only once every two years. Their longing for home and family does not have the luxury of tears and emotional paralysis; instead it is submerged into working many hours a day and sending as much money as they can back to those families. I look out the window to barren desert and palm trees, those trees that are so symbolic to me of home. I’ve had no time to process, and suddenly we are almost to our new home. We go through a special transit line and are quickly through security. Though early, the airport is busy with travelers, some bright and ready, others bleary-eyed and travel worn. Airports are the bridges and we travelers are the bridge builders, connecting worlds by traversing through them, sometimes settling and other times moving on. We are in the second leg of our journey to Kurdistan, the place we will lay our heads for awhile. There has been so much to do in the past weeks – packing up a Life is not for the faint hearted. We have experienced many grace-filled moments, always when we most needed them. There has not been time for feeling and emoting; instead, it’s been doing and acting. But at the airport as I hugged my younger daughter, the one of our five who has always lived bed close, the feelings found a place of release in tears. We hugged tight, not wanting to let go. There will be so many miles between us and I am not ready. No matter how many fancy communication tools we have, nothing takes the place of face to face conversation and wrap around hugs. And now, because of modern air travel I am already thousands of miles away. This is not a forced displacement, yet it still comes with a cost, and that cost has names and faces. It’s those names and faces that made us think carefully about the move; those names and faces that keep us praying and looking for creative ways to communicate. We grab a coffee at the airport and wait to board. It is surreal. For many years I have longed to return to the Middle East, and I shake my head in disbelief. I get to do this. I get to live in Iraq, specifically Kurdistan. Despite the tiredness, the emotional impact, the fact that those I love most are far away, I am filled with gratitude. We wish we had money for every time someone has asked about our future plans with that sentence! There are a number of questions we’ve been asked and a number that we have overheard, so to simplify things here is a list of frequently asked questions. You’re moving where? We are moving to Northern Iraq or Kurdistan. It is officially called the Kurdistan Region of Iraq and is an autonomous region. We will be living in Ranya, a city located about two hours from the capital, Erbil. What will you be doing? We will both be working for the University of Raparin, a public university located in Ranya. I will be working for the School of Nursing, and Cliff will be working on grants and research administration. Why are you going to Iran? We aren’t. We are going to Iraq, again specifically the Kurdish region and called Kurdistan. But…isn’t it dangerous? In talking with people at the university and others who live there, we are confident that it is safe to live and work in the area. We will not be foolish, and we will respect and learn from those around us as we navigate the area, but we are not worried and we are not afraid. One of my favorite quotes on safety comes from an essay called “The Proper Weight of Fear” by Rachel Pieh Jones. “Safety is a Western illusion crafted into an idol and we refused to bow.” This quote perfectly sums up our feelings. The closest we have ever been to a bomb attack is Boston and the Marathon Bombing when we were in lockdown for 12 hours in 2011. Why are you going to Iraq? In 2015, we had an opportunity to go to Iraq for a humanitarian aid trip. Cliff had gone earlier in the year, and the area had made a mark on his heart. The same thing happened to me. When we returned from that trip three years ago, both of us confessed our desire to return. It is a miracle that we were both offered jobs at a time that couldn’t be more perfect. My journal reflects this desire over the past three years, a desire I was afraid to voice. Aren’t you leaving great jobs in Boston? Yes. Yes we are. Again I’ll quote from Rachel: “Sitting in an armchair and watching the world implode on the 6 o’clock news, that felt more damaging to our souls than the risk of moving to Somalia.” (In our case, than the risk of leaving good jobs and moving to Northern Iraq). How long will you be gone? Our contracts are renewed yearly and our personal commitment will be two years and then look at what is happening at the university and with our family. What do your kids think? Our kids are incredibly gracious. They know our heart love for the region, but even as adults, it’s not easy losing a home base. Many of you have read about our cottage in Rockport – we are keeping Rockport and plan to be there for 2 months every summer. Cambridge and Rockport will be our home bases. You’re SO brave! (Said with admiration) No. No. I promise you, we are not brave. We are excited, and we are adventurous, and we like to think we have a high tolerance for ambiguity, but no – we aren’t brave. How will we communicate with you? The same ways we communicate now – email, WhatsApp, Facebook, this blog already has a section linking posts about our life in Northern Iraq. Our world has amazing ways to communicate and we will take advantage of those. How can we help? Thank you for asking! First off, if you are someone who prays, we would ask you to pray for us. Second, we still have a lot to do before September second, we would love to have you get involved by donating $25 to two projects at the school of nursing. You can read more about them here. So, we are incredibly grateful to you – readers, friends, and family for going on this journey with us. Part of the joy of the journey is finding traveling companions – and that is you.